New build of low energy house in Wexford. Signature windows. Attention to every detail and high performance requirements in building a low energy house on the hillside of Bunclody rural area. 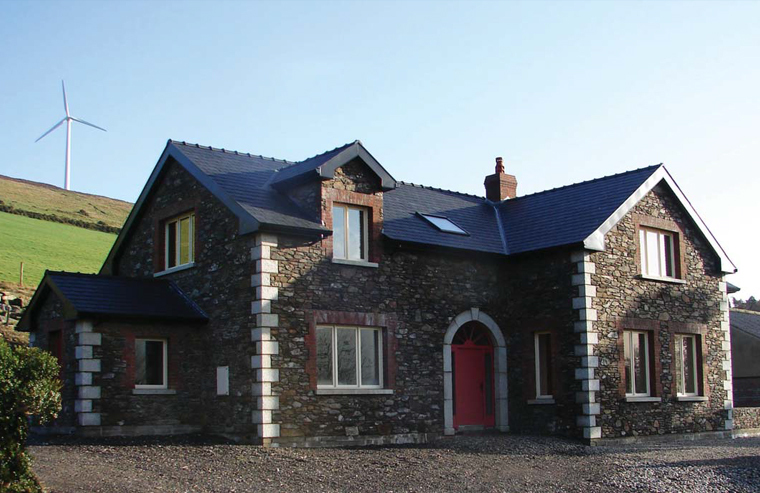 Homeowner Noel Deacon installed four wind turbines on his farm near Bunclody, Co. Wexford, hence, building a low energy house was an obvious choice for him. Although he considered renovating an existing house on the site – on a hillside 260 meters above sea level – he ultimately decided to knock and rebuild. But he incorporated the foundation of the original house into the new one, taking down the internal walls and completely replacing the floor. 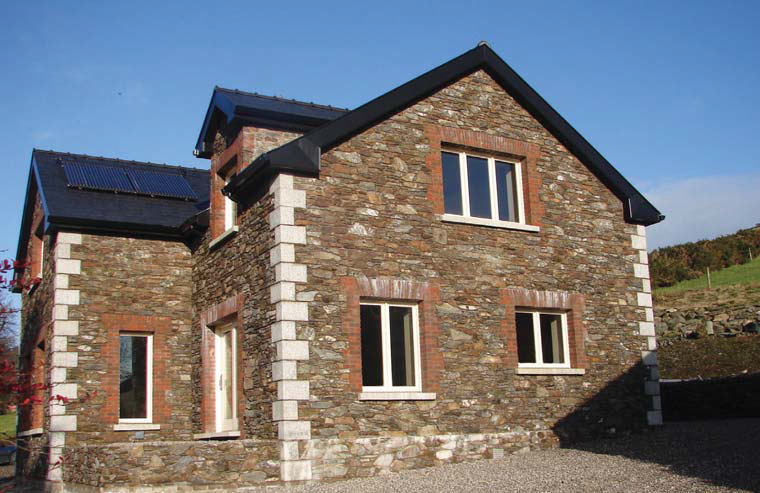 Noel used stone from his own farm to clad the house and decided for both double and triple-glazed Signature aluminium clad windows in order to maintain the heat of the house. The old building was a school residence with no insulation and Signature casement windows with argon filling met the high efficiency requirements. The functional high-performance windows also provided a contemporary detail while ensuring the comfort of this new home. "The house is very warm at the moment. It's nice and fresh air inside with the heat recovery. It's just fresh, it's warm all over." 248 sq m detached 1.5 storey dormer block cavity house. Rural site, Bunclody, Co. Wexford.